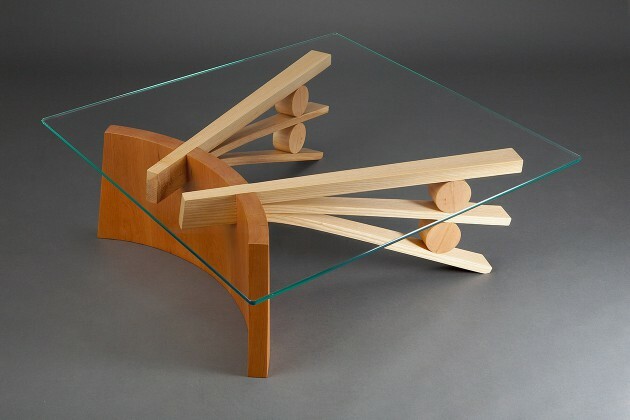 The Ash Explosion Coffee Table, is a contemporary glass top coffee table made from one large beam of solid white ash which I cut most, but not all of the way through. 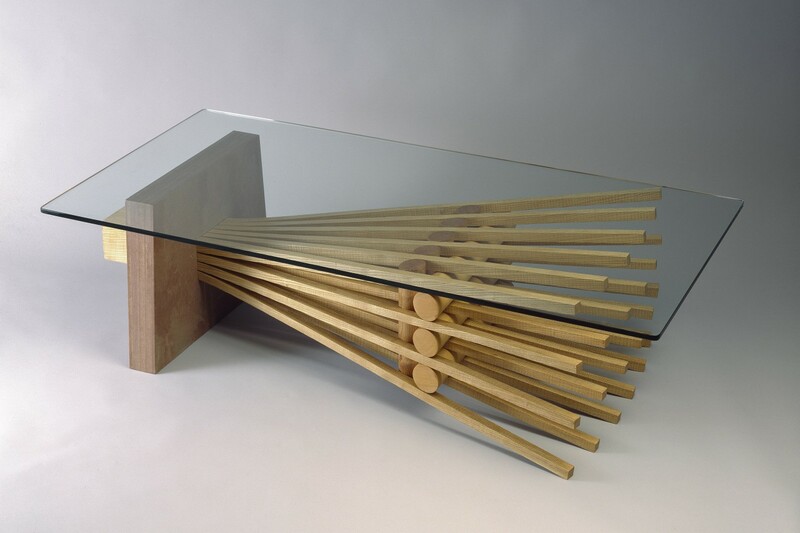 After steaming, the wood becomes pliable. I quickly bend all the pieces to the proper curves before the wood cools. It holds its shape after drying for several months. By varying the placement and position of the cuts and the pieces which hold the ash elements apart, I can control the form. 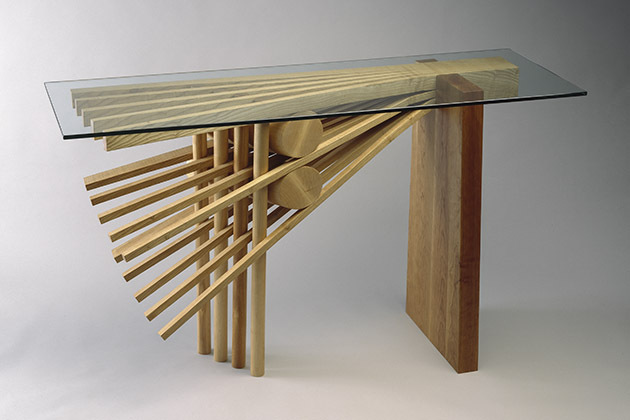 The narrow end of this expanded wood piece is slid through a rectangular slot cut into a trapezoidal piece of sandstone as shown, or optionally in a contrasting wood, to create a stable and dynamic table. 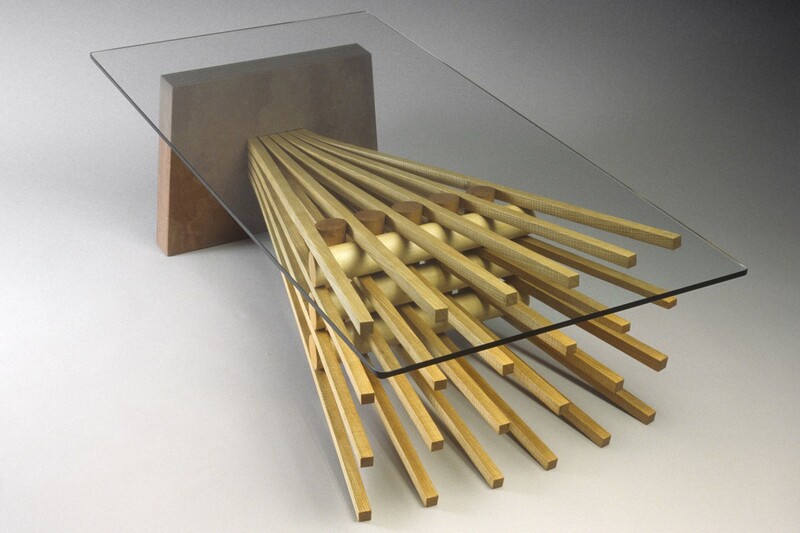 The Ash Explosion Hall Table is a related hall table version.